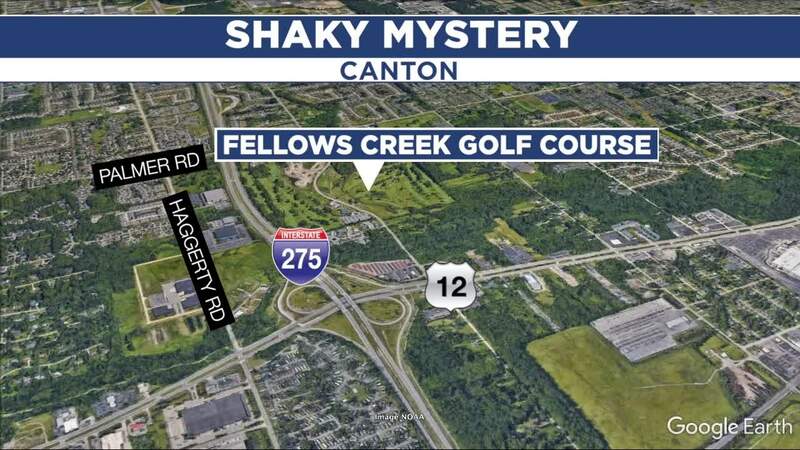 CANTON, Mich. (WXYZ) — Residents are baffled at an ongoing phenomenon that's shaking homes in Canton. Fatimah Jafri says it's been happening for roughly half a year. "When it starts, the water actually shakes in the bottles," said Jafri, who described a high pitched hum that accompanies the shaking. "There’s that much vibration in the house. The pictures on the walls will vibrate and you can hear them slap up against the walls. It puts pressure on your ears kind of like you’re on an airplane. It's almost like a helicopter going over." People in the area of Lotz and Palmer tell 7 Action News that the rattling varies in intensity and duration, but was at it's highest point Monday night. "I heard really bad shaking, then I heard something fall and I went to my fiancé, ‘Uh, did somebody just break in or what?’ because it was so loud and so forceful," said Brittany Kipfmiller, who lives on the 40000 block of Finley Dr. "I went to our spare bedroom and there was some boxes that were completely knocked over and they were 25 pound boxes." Canton Township's Public Works Manager Bob Belair says he's received more than a dozen calls about the issue, and has been able to rule some things out. Belair says he investigated and cleared the nearby Woodland Meadows landfill, inspected gas line maps for Buckeye Pipeline Co., and the township contacted the U.S. Geological Survey, who verified no seismic activity in the area. Belair requests anyone who experiences the phenomenon to call public safety or email him at Bob.Belair@canton-mi.org.